Yesterday we ventured over to Squaw Valley Ski Resort area to go snow shoeing at Shirley Canyon. And although many people were skiing, snow shoeing was only for the adventurous. We only came across one other couple the entire time we journeyed up the canyon, due to snow pack conditions that warned of equipment being necessary, which we had. So it was just us, the mountain, the trees, the flowing water, the snow, ice, and sky, and a lot of forest spirits, Faeries, and snow bunnies! It couldn’t have been a more picturesque day though…solitude and serenity abound. It was extremely magickal as we crossed over brooks, came upon little waterfalls, discovered snow bunny tracks near the top where we turned around after the tracks ending – all along following the flow of the water in the canyon, on our way up and back down. The skies opened to powder blue with the sun illuminating the snow covered peaks. And then it started to snow as we neared the bottom – perfect timing. I even made a snow Faery (some call it a snow angel) at the top, which I later discovered upon returning home, how amazingly synchronous and aligned that was. Facebook does this thing where they show you posts you’ve shared on that same day, but a different year. And on this particular day – yesterday – I had shared a post and photo from three years ago to the day of me up at Tahoe Meadows (about an hour from where I was yesterday) making a snow Faery on our snow shoeing adventure. Only difference was in that one I kept my snow shoes on and yesterday I took them off, but the funny thing was that I had even mentioned to Dave yesterday that the last time I did this I kept them on and then here pops up the photo to prove it, which happened to be on the same day in 2013. Making snow Faeries through the time portal! And this morning I woke up to a few inches of snow surrounding the Magick Bus and it was just beautiful with the warm glow of inside light and warm coziness set against the morning light just illuminating the chilly snow covered landscape that draped a white blanket around us. I can’t get enough of just sitting here taking it all in. I hope you enjoy the winter beauty from my Faery heart to yours. Just a quick little update on my sweet Moth friend for those of you who were wanting to know what happens. Well, in the two days that followed the post she disappeared. She was no longer on my plants anywhere and didn’t show up in sight somewhere else. I felt it was a good sign that her wings finally were ready and she had flown. However, that meant she was stuck somewhere inside. Dave was concerned at first that one of the cats may have gotten her before she flew, but then figured we would see part of her body somewhere close and we didn’t. I had the sense she was alive and well somewhere. Last night I discovered where. Apparently she had gone into the shower, likely because it has a skylight that allows the outdoor natural light in. But I didn’t realize this until I went to turn on the water to get it warm for my shower. I turned it on and closed the door. Then checked a minute later and I find her fluttering around in the water on the ground. The water had been filling about a half inch to an inch recently because with all of the rain the ground had softened, which had the RV unleveled slightly. We fixed this later, but it had been pouring so much that it made it hard to get out and put wood under the levelers. Anyway, I immediately cupped my hands and helped her out. If I hadn’t gotten to her, she’d likely have drowned. She fluttered around in my hands trying to dry her wings. I was just so happy to see her and to know she could now fly. Poor thing, now going through this and having her wings wet, so that she has to get them dry and strong once again. I couldn’t put her outside because it was pouring, so I decided to return her to my plants so she could dry overnight. She didn’t want off of my hand though. She was clinging and wanting to stay with me. Finally I did get her onto one of my plants and enclosed the area to keep her safe for the night. This morning I went to check on her and there she was still on the plant with her wings closed. She must have been recuperating all night. I’m just so happy that she can fly, but boy she’s going through a lot this little one. She does remind me of what my journey has been like too and probably many of yours. Many challenges, many times of feeling like I’ve been drowning, overcome with emotions, hitting my rock bottom, unsure of the next course of action, but still getting back up, persevering, and willing my way to fly, as I know I was born to do. As this little Moth is. Don’t let life’s challenges keep you down. Even when it looks like all hope is gone, there is always a way, a helping hand you can embrace, another perspective or choice you haven’t tried, another path to your wings taking flight. I decided to reintroduce her to the great outdoors again, feeling that she’s much better off outside in Nature now than she is indoors where she can catch the attention of the cats since she can fly now. I actually just returned from taking her outside for release. I put out my hand to my plant and she climbed on. I then went outside and walked over to the closest tree. I stood there giving her Reiki and she opened her wings to feel the cool air on them. As she did they began to quickly vibrate, as if she was taking in the vibrations all around, through them, and as Nature reminded every cell within her to awaken to herself. 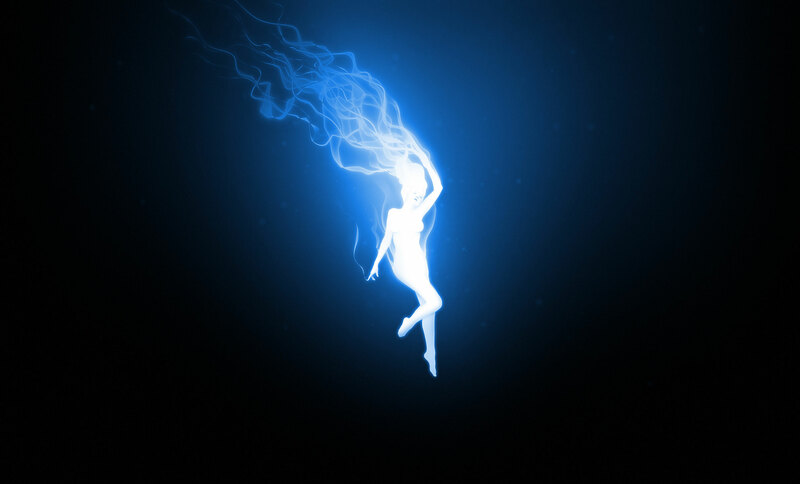 Earth’s vibrations pulsed through her and she suddenly took to flight, softly fluttering from my hand as she showed me proudly how she could fly. Then she came to rest on the trunk of the tree. I think she needs time to adjust and so I surrounded her with more Reiki, asked the Faeries to touch her wings with their magick, and asked the tree to protect her. I will check on her a bit later, but I feel now she is where she’s meant to be and she has gone back to her true Mother – Nature. It started raining on and off yesterday while my parents came to visit for the first time, which created a cozy space for our family reunion, but also seemed symbolic of emotions and deep cleansing and renewal. It then started raining in the night and continues this morning consistently. It sounds and feels so wonderful in our RV surrounded by the forest. There is a snow storm coming tomorrow and Sunday. RV living creates a greater appreciation for Nature and the changing seasons and weather because we’re right in all of it, always. And it was times like yesterday that will be etched in my heart’s memories. It was the first time my parents got to see our RV and to meet Cosmo. Both were special to share with them, but there was one particular moment that will always be dear to me and etched in my mind. It was when I handed my mom my precious baby to hold. None of this being any different than what a mother feels when she hands her biological baby to her own mother for the first time. I had all the same feelings in doing so and watching him in her arms, as I showed her how he likes to be held. Then watched him snuggle up to her and lick her chest with dad looking on, caressing him as my mom held him. There was that full circle feeling and too many different layers of emotions and thoughts to even put into words. We enjoyed a nice afternoon and lunch visiting. I made them my potato leek soup, as mom helped in the kitchen and we talked of different things, including my connection with Cosmo and the things I do to care for him, how I understand him, and how his care is my priority above all else, showing me what is truly important in life. I could see her wheels turning and feeling and seeing how I now really understood the bond she feels with myself and my brother and all that she has gone through in her life out of that love. Cosmo was once again spreading his magick. And while this was a way of me seeing myself in my mom, my mom also gets to see herself in me, as I am not the traditional mother and teach her the importance of balance and also caring and nurturing the self. I have become a mother, enjoying cooking, being in my home, caring for my children and partner, but I am also integrating my gifts into service beyond the home, continue traveling extensively on my own and for my work, and following my heart by doing the things I love and that nurture me. I have added layers to the role of women in our generational line…which has taken much strength on my part to break out of the mold. We sat on the couch after lunch and I showed her my new Tarot decks, deciding we should have her pull a card from the Faery deck, which she did. Her Special Place ~ basically speaking to a need for solitude, quiet, creating a sacred place for yourself and giving healing and love to yourself. And so here I sit in my own “Special Place” embodying the energy of my truth and gifts, as a bridge for her to her own. Just as her beautiful motherly heart has been integrated into my own life by her loving embodiment. The rain in these mystical forests is flowing its alchemy and I feel the ancients watching on, as we change the course of energetic history, shift our DNA, and create a new way of being. This post about magick from nearly two and a half years ago, has been on my mind all week and so I’m inspired to share it again, feeling it may speak to some of you at this time. As more people remember who they are and are harnessing their gifts, the more magick is returning to our lives as the human experience it was always meant to be. Thank you to everyone who believes and continues to cultivate that trust and belief despite what others around you think or what you’ve been taught in the contrary. If you remember, when I was in Malibu I became aware of a cocoon hanging from one of my plants – the mint -while I was doing a mini Tarot card reading for myself at our picnic table. Seeing the cocoon went perfect with the message I had received and how I felt to be in my own cocoon still. I’ve been caring for the cocoon and the life within it, since, gingerly carrying the pot and making sure that it is safe during travel. Funny thing is, I thought that it was in process of cocooning, when in fact it was actually in process of emerging! The black I saw was not the caterpillar, but indeed the Moth inside, slowly awakening to take its first new breath of renewing life. Just yesterday, as I was tending to my plants, I discovered her. A beautiful and mysterious little Moth with thick fuzzy body and lovely deep colors that blend with Nature. She still seems to be in a partial state of slumber, as she adjusts to the world in her new body. I read that they need to go through a process of eclosion when they emerge from the cocoon, where they hang to properly inflate their wings. This process of inflating, drying, and hardening their wings takes up to about 6 hours. They may be able to fly before that, but unable to go far because their wings are still too heavy and soft. This little one has been hanging for a much longer time than that so I began to wonder. Is she having challenges with the process? Is the change of environment inducing a different process for her? Is she confused by being inside where I have my plants right now? She was moving around, so I gave her Reiki and went out to find her a leaf and held it out for her to climb on to. She did, and I introduced her slowly to the great outdoors again. She moved around on the leaf and opened her wings, but did not seem to want to fly. She seemed to want to stay close near my hand. I let her acclimate slowly while giving her Reiki and asking the Faeries to assist. I left her for a little while in a covered area by my shoes to keep her safe and protected, but able to leave if she wants. I started to wonder if she wanted to leave? Or if she still isn’t quite ready and needs some more time? Perhaps being like a preemie baby that was eager to set foot in the world and start a new adventure, but still has a few more things to integrate before actually setting off on the journey. I then saw myself in her. I felt how eager the creative energy within me has been to erupt forth and yet I still have a few things of my own I’m tying up before I can fully fly on the wings of that new energy. And so I brought her back inside. I wanted her safe to do her thing in the timing that she needed. I held the leaf out to the stems of my arugula plant so she can hang there and continue her process in her own timing – safely and under my care. My guess is that it may mirror my own, as I’m a couple of weeks away from things fully taking flight in my own life. Camp out among the grasses and gentians of glacial meadows, in craggy garden nooks full of nature’s darlings. Climb the mountains and get their good tidings, Nature’s peace will flow into you as sunshine flows into trees. The winds will blow their own freshness into you and the storms their energy, while cares will drop off like autumn leaves.